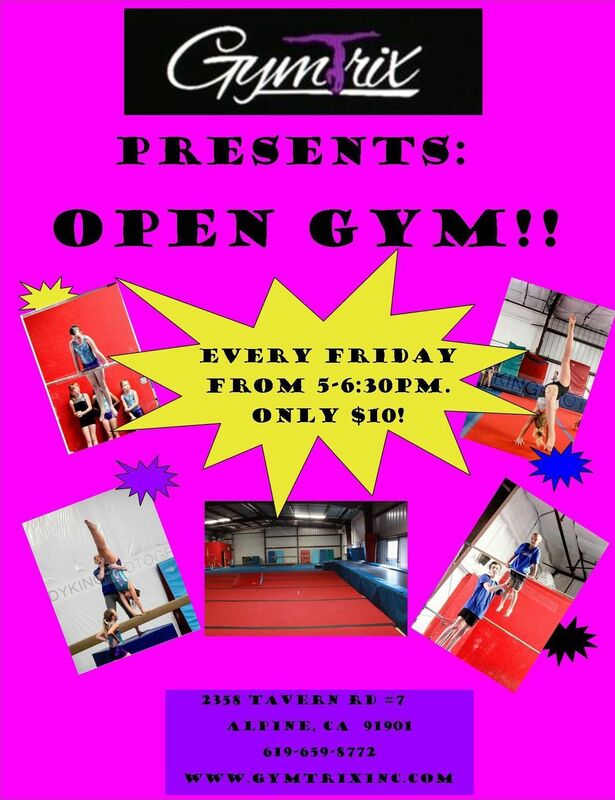 Come to both Open Gym & Flip For Friday for only $20!!!! Open gym is every Friday from 5pm - 6:30pm. Cost is $10. Ages 5 and up. It's a perfect time for your child to have time to work on whatever skills he/she would like to work on or simply have a great time with friends! 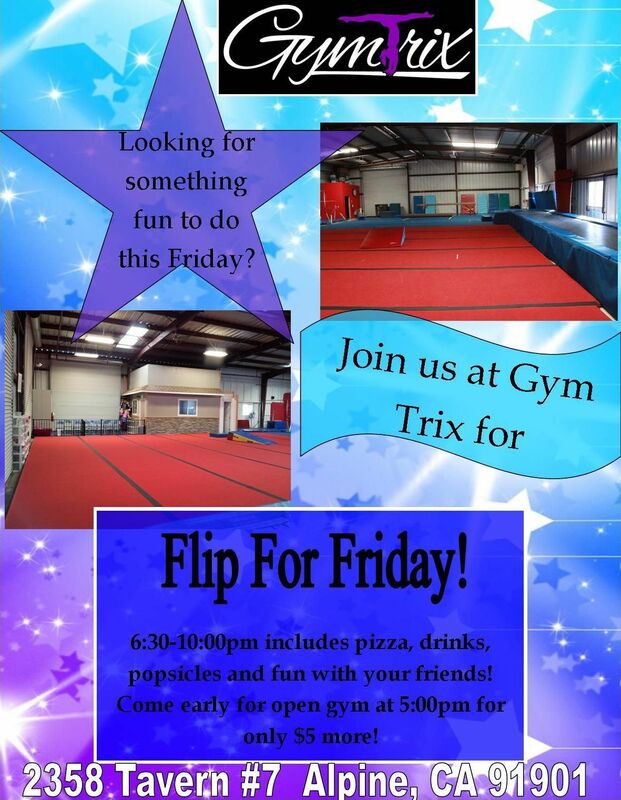 Flip for Fridays is offered EVERY Friday of every month. Ages 4 & up. 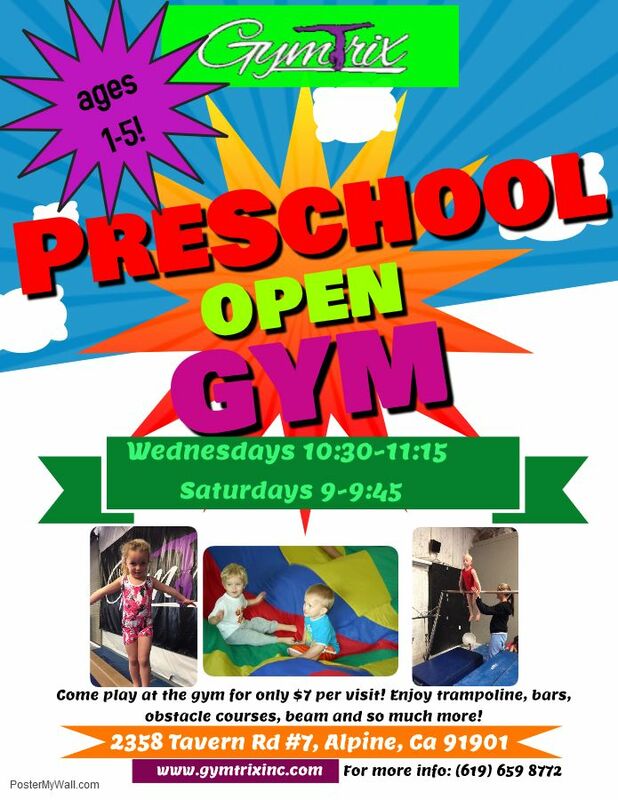 $15 per child 6:30-10pm! It's a different theme every week! This is an evening filled with pizza, gymnastics, popsicles and lots of fun! !